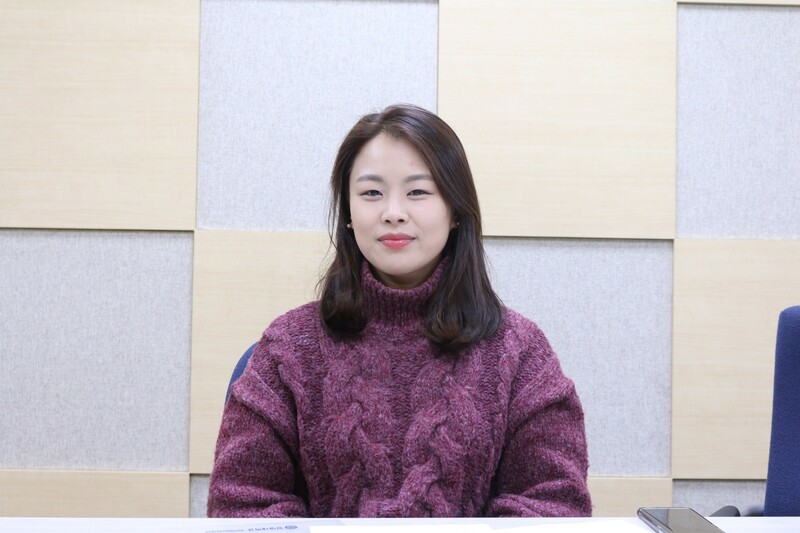 On December 5, 2018, Yoon Su-zie, an employee at the Media Strategy Centre of Hanyang University (HYU), received the ‘External Affairs and Promotion Prize’ from the ‘University News Network (UNN)’. Yoon was praised as she and her team members devoted themselves to uphold HYU’s global competitiveness. Q. How do you feel after receiving the ‘External Affairs and Promotion Prize’? A. It is my fifth year working at the Media Strategy Centre’s Global Promotion sector, and I am really pleased that I received this prize on behalf of my team members. Furthermore, the award is more meaningful to me as it was one of the first projects that I launched since I started working at this office. My goal is to systemise and develop the global promotions that I am in charge of, which is still unknown by other universities in Korea. Q. What exactly is ‘terminology unification’ and where is it applied to? A. The Media Strategy Centre has newly opened the ‘Global Communication Committee (GCC)’ in March 2015, in order to enhance the global competitiveness of HYU. This team is comprised of professors from international backgrounds and graduate students. The goal of the GCC is to unify terminologies within HYU web pages and its organisations, especially focused on English and Chinese. It was something that various faculties in and out of HYU were asking for. We also collaborated with other departments which needed translation services in relation to official terminologies. Q. What is ‘Informing HYU exactly’? A. If you search ‘Hanyang University’ on any of the search engines, there is information available not only from HYU’s official web pages but also from other internet pages, such as Baidu (Chinese) or Wikipedia, in several languages. For example, at the very first phase of our team’s project, we found that there were a lot of errors in Wikipedia that could hinder many international students from applying to HYU. From that, we fixed several details based on what was written beforehand. Two major languages that we were mostly concerned of were English and Chinese, but we also took German, French, Russian, Spanish, Arabic, Portuguese, and Japanese into consideration, which is the United Nation’s official languages. Q. Are there any projects that you have in mind to initiate in the future? A. Unifying the different organizations’ names of HYU was done quite successfully, yet the names of the buildings are not formed in unity. Thus, future projects will mostly be about formalising and unifying the names of the buildings on the campus.